Every parent hopes that their children will grow up into intelligent, successful adults, but is there anything you can do to help make this a reality? The simple answer is yes! There are many ways in which you can help to nurture your children’s intelligence and ensure they get off to the best start in life. Some people even believe children start learning from within the womb! If you are looking to raise smart kids, here are some tips to help you along the way. School may not become mandatory until your children are a few years old, but this doesn’t mean that you can’t start their education earlier. Learning at home is a great option but unfortunately not all parents have the time to commit to this fully between work or study commitments. This is where a good child care facility comes into its element. 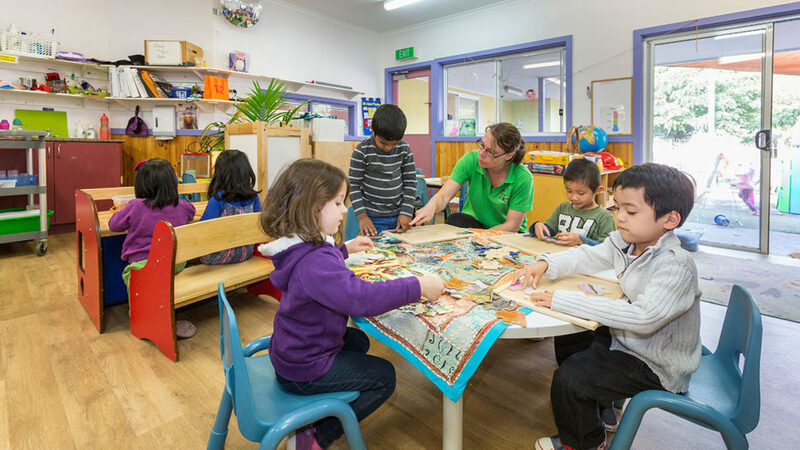 Whilst some child care provides only a watchful eye over your children whilst you are at work, others such as Guardian child care in NSW offer a far more comprehensive service. By opting for a child care facility who focus on educating your child through play, you can begin enhancing their knowledge from an early age. Education should not be confined to the classroom. By enrolling your child in a range of extracurricular activities you can enhance their intelligence beyond textbooks and nurture their social skills and confidence. Activities such as music lessons have been scientifically proven to enhance intelligence by increasing your child’s IQ. Sport has equally been shown to have a positive effect on a child’s ability to learn, as increased blood flow to the brain and expending of physical energy allows them to focus better in the classroom. Everyday life presents never-ending opportunities for learning, so make use of every last second you spend with your child. Reading a bedtime story to them not only enhances their imagination but also increases their intelligence. Rather than simply reading to your child, have them read with you in order to gain the most benefits. A trip to the park or the walk to school are all opportunities to learn about science and nature. Encourage inquisitiveness in your child and allow them to explore the great outdoors as this offers unparalleled opportunities for learning. Your child’s health will have a huge impact on their ability to learn. A tired or hungry child is unlikely to be able to absorb much information in the classroom, so be sure to enforce strict early nights and healthy breakfast routines. If your child has a laptop or a mobile phone, don’t let them take it to bed with them as they may end up staying up late to play games or chat with friends. Be sure to educate them on the importance of healthy eating from an early age and try to incorporate fruit and vegetables into their diet in new and exciting ways to encourage them to eat well. By taking a holistic approach to your children’s health and learning, you can be sure to raise them up to be smart and forward-thinking adults. When You Give a Child a Camera….